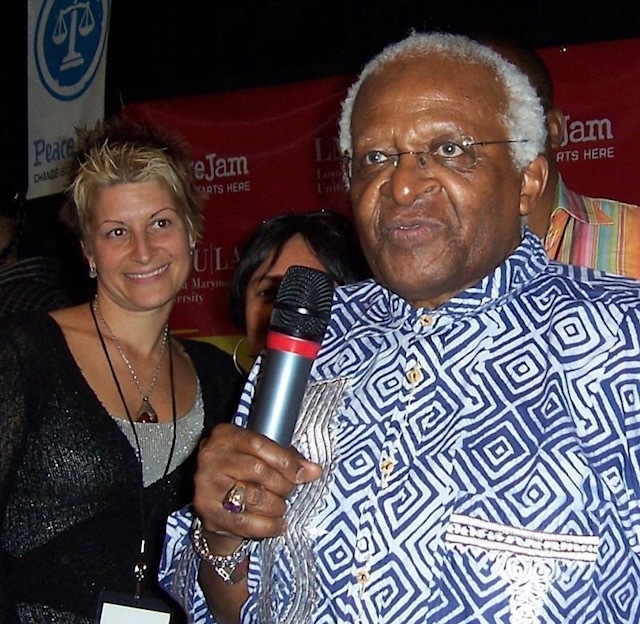 Pilar and Desmond Tutu. Peace Jam. LA. 2008. Pilar brings together the tools of leadership, yoga, surfing and over 15 years of consulting and entrepreneurship across public-private-nonprofit sectors. She coaches and facilitates individuals, athletes, executives, boards, events, and collaboratives in conscious approaches to goal setting, strategy sessions, pattern interruption, mindfulness and other innovative tools to enhance outcomes, impact, efficiencies, economies of scale, sustainability, social responsibility and balance. She has worked with world leaders, business leaders, entertainment and production teams and global events. 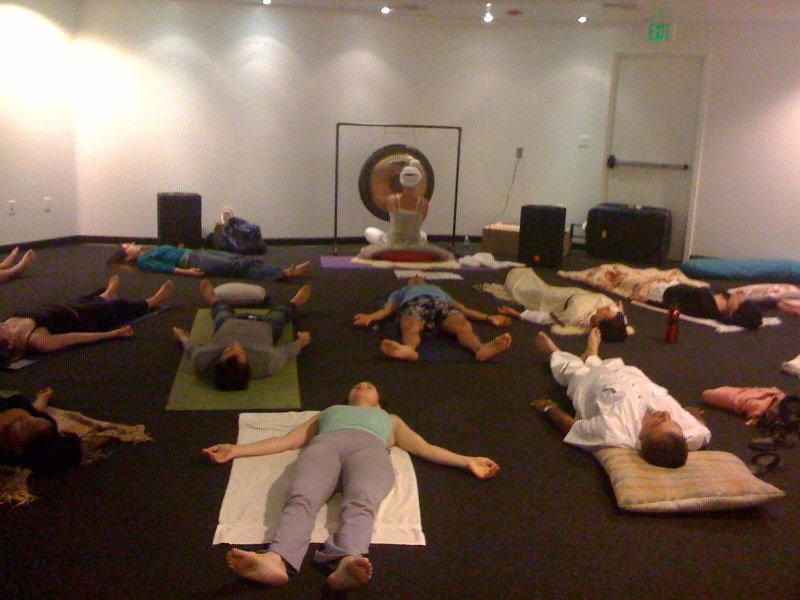 Pilar Stella is a certified Kundalini Yoga Teacher and Gong Master. She uses the discipline and teachings of yoga to integrate into all of her other endeavors. She does individual and group sessions for individuals, executives, entertainment, teams and more. Kundalini Yoga is a comprehensive yoga tradition that combines meditation, mantra, physical exercises and breathing techniques. Kundalini is known as a yoga of awareness and is considered a householders yoga - meaning that rather than escaping to meditate away from society for long periods of time, it provides you with tools to enable you to BE present in the world today and be more effective, efficient and highly functioning to move through your everyday life with ease and grace! The gong is a powerful healing modality that uses sound current, much like the Tibetan singing bowls, to uplift, heal and clear out anything that is not serving you. Pilar works with clients to overcome sleeping disorders, addictions, depression, anxiety, stress and other life situations to live healthier, happier and more fulfilled lives. Surfing is not just a sport - it is a way of life. No two waves are the same, no two days of surfing are the same...so it creates continuous expansion that translates into your life and business. Surfing is one of the best metaphors for life and entrepreneurship, as it is the only sport that you fall off every time and have to get back up and start again. Pilar Stella not only surfs, she also teaches surfing to individuals, women, executives and nonprofits and integrates much of its philosophy into her other practices.